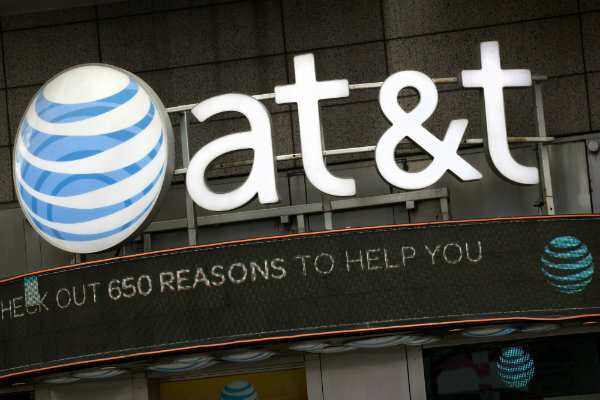 AT&T says it needs to gobble up Time Warner if it's to have a chance against the likes of Amazon, Netflix and Google in the rapidly evolving world of video entertainment. The Justice Department's antitrust lawyers say that if AT&T and Time Warner are allowed to combine, consumers will end up paying more to watch their favorite shows, whether on a TV screen, smartphone or tablet. "On one hand, the government is saying this is the Old World and AT&T Time Warner is saying this is the New World," said Larry Downes, senior industry and innovation fellow at Georgetown University. "They're arguing completely different views of how the content industries look right now, let alone in the future." In October 2016, AT&T offered to buy Time Warner for $86 billion. Dallas-based AT&T Inc. provides wireless, broadband and DirecTV satellite services via phone and TV. New York-headquartered Time Warner owns the HBO, TNT, TBS and CNN networks and sports programing including Major League Baseball's playoffs and the NCAA's March Madness basketball tournament. Almost 60 percent of Americans still get TV primarily from traditional cable services, according to a Pew Research Center report. But that is starkly divided by age. About 61 percent of people aged 18 to 29 primarily use streaming services — compared with 10 percent of people aged 50 to 64. AT&T says the merger is necessary to compete as more people use streaming services like Netflix, Amazon and others. It denies the government's assertion that the merger will limit choice and lead to higher prices for consumers. "Blocking the transaction would deny consumers these benefits and shield large, vertically integrated firms such as Comcast/NBCU, Netflix, Google, Amazon, and Facebook from new competition on their own turf," the company wrote in its pre-trial brief. "The real fundamental thing this trial will decide is how much room does the media industry have to use scale to combat the internet giants that are eating their lunch right now," said B. Riley FBR analyst Barton Crockett. But if the court lets the deal go through, it could easily spur a wave of similar deals as other distributors — think major cable, satellite and phone companies — bulk up with entertainment purchases in order to compete against rivals born on the internet.